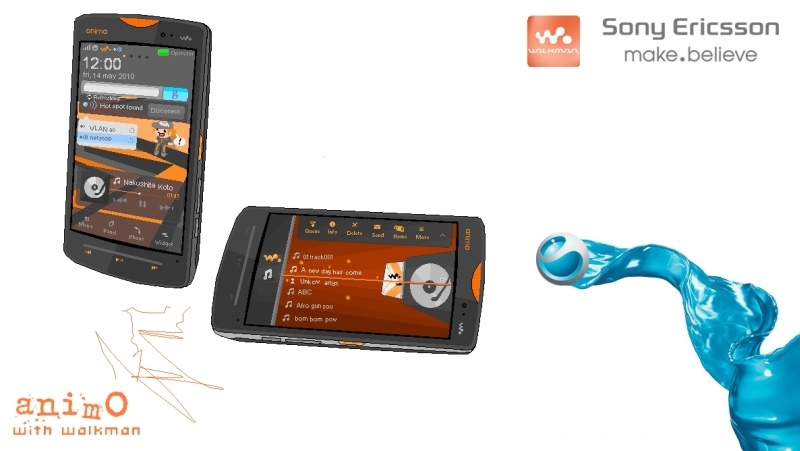 Andro Gama’s series of Sony Ericsson designs continues below with the Animo with Walkman handset. This device features a large touch display, the great Walkman music player, touch keys beneath the display and possibly all the memory one will need to save discographies. Some DJ apps will also contribute to the music phone’s image.